American fashion designer Charles Nolan has died in New York after fighting cancer. The 53-year-old Nolan was known to be a fan of classic styles, but he skewed them with a modern edge and personal touch. Women's Wear Daily first reported his death on its website Sunday. Charles Nolan store vintage buyer Maggie Savage confirmed the report. Nolan launched his own label in 2004. He previously was the head designer for Anne Klein and Ellen Tracy. But he was almost as well known for his political interest as his work in fashion. He took a publicized hiatus from fashion in 2003 to work on former Democratic Vermont Gov. Howard Dean's presidential campaign. Dean tells Women's Wear Daily that Nolan was a "wonderful" person. 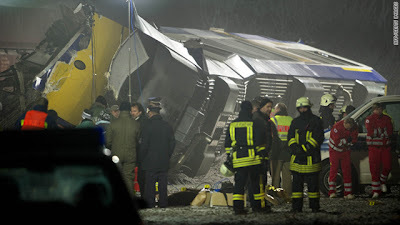 Ten people were killed and 43 were injured, 18 serious, when two trains collided in eastern Germany late Saturday, a Magdeburg Police spokesman said. The crash between a regional HarzElbeExpress passenger train and a freight train happened less than two miles from the nearby town of Oschersleben shortly after 10:30 p.m. local time. Portions of the train burned in the snow for about 2 hours. Video showed rescue workers and investigators combing the wreckage and overturned cars. Officials said many passengers were thrown from the train after the incident. The cause is unknown. Investigators and emergency crews were at the scene early Sunday. 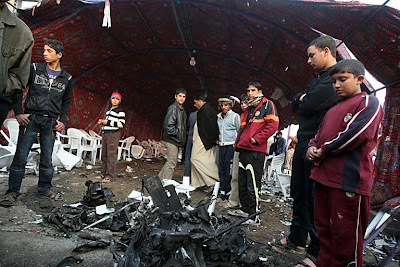 Around 48 people died and 121 others were wounded in a car bomb blast at a funeral tent in northwestern Baghdad on Thursday, an Interior Ministry source said. "The new toll for Shula car bombing today is 48 killed and 121 others wounded," the source told Xinhua on condition of anonymity. The attack took place in the afternoon when a booby-trapped car parked near a funeral tent in Baghdad's northwestern neighborhood of Shula was set off, the source said. Earlier, the source put the toll at 37 people killed and 78 others wounded. As a result of deadly blast, dozens of angry residents protested against the security forces, condemning them of failure in protecting the innocent people, the source said. The Iraqi security forces opened fire into air to disperse the protestors, but some armed men responded to the fire and traded fire with the troops, the source added. It was unclear yet whether there was any casualty by the clashes, he said. The authorities of the area imposed curfew and blocked the neighborhood's entrances, while reinforcement arrived at the area, he added. "The area is under control by the Iraqi forces," he said. Since early in the day, Baghdad has been the scene for several bomb attacks that killed a total of six people and wounded 21 others, according to police reports. Violence and sporadic high-profile bomb attacks continue in the Iraqi cities regardless of the dramatic decrease of violence over the last three years. Top seed and world number one Rafael Nadal of Spain has been knocked out of the Australian Open by compatriot and "friend" David Ferrer. Hampered by a thigh strain from the start of Wednesday's quarterfinal, the nine-time grand slam champion was visibly suffering as he went down 6-4 6-2 6-3 at Melbourne's Rod Laver Arena to his Davis Cup teammate. Ferrer's triumph -- his 4th over Nadal from 15 encounters -- will now see the 28-year-old play in just his second grand slam semifinal, following his appearance in the last four of the U.S. Open in 2007. The world number seven will face Britain's Andy Murray for a place in the final of the opening grand slam of 2011, after the world number five beat unseeded Ukrainian Alexandr Dolgopolov in the earlier match. The result also means the end to 24-year-old Nadal's quest to become the first man since Australia's Rod Laver in 1969, to win four consecutive grand slam titles. 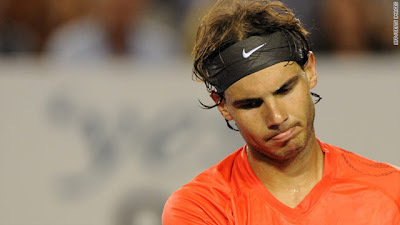 Nadal was clearly affected by a thigh problem during the match but, despite receiving off-court treatment after just the third game, refused to blame the loss on his injury. Nadal showed flashes of his usual brilliance but any chance of a comeback in the second set was suppressed by Ferrer, who after a 10-minute break in proceedings for an Australia Day fireworks display, secured a double break of serve to lead the match by two sets to love. Ferrer then raced to a 3-0 lead in what was to be the third and final set, before wrapping up the ultimately one-sided contest in just over two and a half hours. A Bomb designed to cause heavy casualties was set off inside Russia's Domodedova airport on Monday. President Dmitri Medvedev says it appears to have been a terrorist attack. 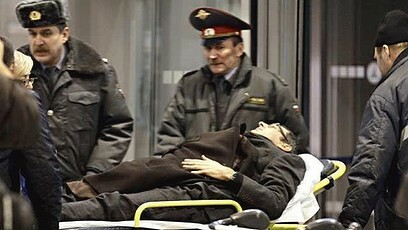 The lethal blast at Russia's busiest airport on Monday night left 35 dead and over 150 injured. Speaking on Russian TV, he called for added security at all of Moscow's airports, and announced an emergency meeting of security chiefs at the Kremlin. Medvedev expressed condolences for the victims and their families. 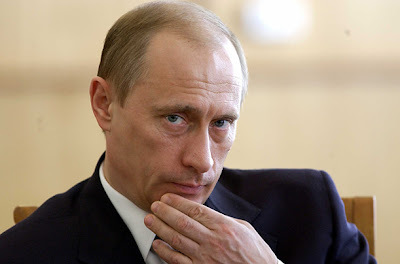 Medvedev said, "We need to make sure that all those who suffered get the required support." Authorities are quoted as saying the explosion occurred in the crowded entrance area of the international arrivals terminal. Russian TV says the suicide bomber packed a homemade device containing metal objects to make it that much more deadly. Witnesses said the bomber shouted: "I will kill you all", before triggering the blast that sent ball bearings and shrapnel across the airport, The Independent reported on its website on Tuesday. The Domodedova airport is closed to international arrivals, which are being diverted to Moscow's other airports, but departing flights are operating normally. To rejoice the launch of Little Big Planet 2, Sony and Media Molecule organized a special three day event in New York City earlier this week and set various Guinness World Records. 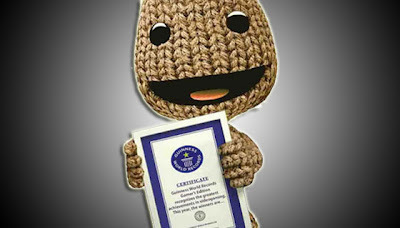 These accomplishments will be listed in the Guinness World Records 2011 Gamers’ Edition, which is now available in stores. 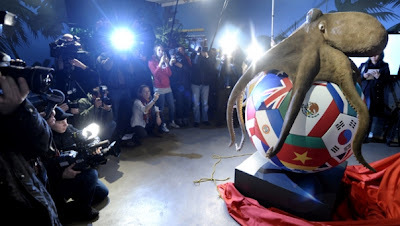 Fans of Paul the Octopus can admire a memorial to the mollusk at the aquarium where he became the World Cup prognosticator. On Thursday, The Sea Life aquarium in Oberhausen made public the 6-foot plastic replica of Paul clutching a soccer ball in his eight arms. Aquarium spokeswoman Tanja Munzig says Paul's cremated ashes were placed in a gold-leafed urn inside the ball. Paul died 3 months ago. Munzig says fans around the world had asked for a memorial. Paul accurately tipped the outcome of all seven of Germany's games at last year's World Cup, plus the Spain-Netherlands final. He made his predictions by opening the lid of one of two boxes, each containing a mussel and bearing a team flag. Mountain View, California-based Google Inc. has declared on The Official Google Blog about the launch of the fourth annual Doodle 4 Google contest, which allows K-12 students to submit a Google Doodle. The winning doodle will be featured on the Google homepage in the future. In addition, the winner gets a scholarship of $15,000 and a $25,000 grant for his or her school. The topic for this year is “What I’d like to do someday…” — which is open to many interpretations, thereby allowing participants to exploit their imagination to the maximum. Registration is open until 2nd March. The artworks must be submitted by March 16 of 2011. The winning doodle will be featured on the Google homepage for everyone to see on March 20th. According to Google, only one doodle per child is allowed. Parents and school are free to register their kids and submit their doodles. The doodles will be judged by Google employees and guest judges such as actress and comedian Whoopi Goldberg, gold medal ice skater Evan Lysacek, and “Garfield” creator Jim Davis. To know more about the Doodle 4 Google contest, visit http://www.google.com/doodle4google/. A 10-year-old primary school girl has won a major beauty contest whose past winners include Yasuko Sawaguchi, Masami Nagasawa and Maki Mizuno, all of whom later became well-known actresses. Moka Kamishiraishi from Kagoshima City was awarded the grand prix at this year's Toho Cinderella Audition. She was one among 44,120 entrants, organizer Toho Entertainment Co. said as it revealed the winner in Tokyo on Sunday. "It is so like a dream that I cannot believe it," a tearful Moka said. The 10-year-old is the youngest-ever winner of the award, the talent agency said. Judges also gave four special prizes this year, including one to Kamishiraishi’s elder sister Mone, 12. 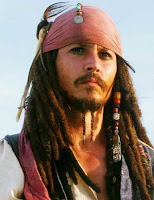 Depp, who is part Cherokee, feels a special connection to the role of Tonto. “I always felt Native Americans were badly portrayed in Hollywood films over the decades,” he says. “It’s a real opportunity for me to give a salute to them. Tonto was a sidekick in all the Lone Ranger series. [This film] is a very different approach to that partnership. And a funny one I think.” See full article at EW.com. 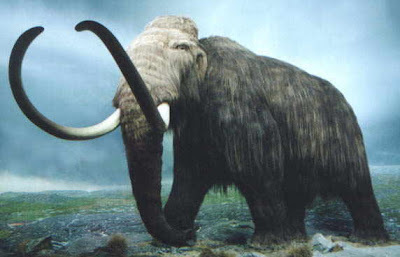 A group of scientists from Russia, Japan, and the United States anticipates cloning a mammoth, a symbol of Earth’s ice age that ended 12,000 years ago, according to a report in Japan’s Yomiuri Shimbun. The researchers say they hope to produce a baby mammoth within six years. The scientists say they will extract DNA from a mammoth carcass that has been preserved in a Russian laboratory and introduce it into the egg cells of an African elephant in hopes of producing a mammoth embryo. The team is being led by Akira Iritani, a professor emeritus at Kyoto University in Japan. He has built upon research from Teruhiko Wakayama of Kobe's Riken Center for Developmental Biology, who effectively cloned a mouse from cells that had been frozen for 16 years, to formulate a technique to extract egg nuclei without damaging them, according to the Yomiuri report. Professor Iritani said he estimates that another two years will be needed before the elephant can be impregnated, followed by the approximately 600-day gestation period. The U.S. researchers are in vitro fertilization experts. They, along with Kinki University professor Minoru Miyashita, will be in charge for implanting the mammoth embryo into an African elephant, the report said. "If a cloned embryo can be created, we need to discuss, before transplanting it into the womb, how to breed [the mammoth] and whether to display it to the public," Iritani told Yomiuri. "After the mammoth is born, we'll examine its ecology and genes to study why the species became extinct and other factors." Teresa Scanlan of Nebraska has been crowned as Miss America after besting 52 other pageant hopefuls at Saturday's event in Las Vegas. The 17-year-old Gering resident and Scottsbluff High School student played the piano during the competition. Her platform issue was tackling eating disorders. She wishes to attend law school, become a judge and eventually a politician, according to the Miss America website. Scanlan succeeds last year's honoree, Caressa Cameron from Virginia. The 22-year-old Virginia Commonwealth University student is the National Goodwill Ambassador for the Children's Miracle Network. The other four finalists were Emoly West of Oklahoma, Jacquie Brown of Washington, Jalee Fuselier of Hawaii and Alyse Eady of Arkansas. Scanlan is the youngest winner since the pageant introduced age requirements -- between 18 and 28 starting in 1938. The age limit was altered again in 1993 to 17 to 24. In 1933, for instance, when there was no upper or lower age limit, 15-year-old Marian Bergeron of Connecticut captured the title. Judges rate contestants on talent, appearance and demeanor based on performances, interviews and evening wear and swimsuit competitions. This year's contest was the 90th anniversary of the Miss America pageant. Military officials have unveiled the name of a Marine who died during a training exercise at California's Camp Pendleton. On Friday, Sgt. Wesley J. 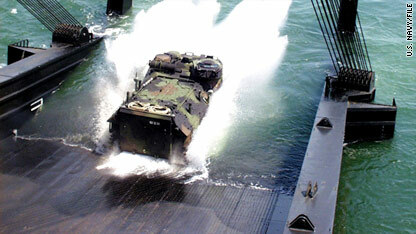 Rice, a 27-year-old from San Antonio, Texas, died when the amphibious assault vehicle he was riding in capsized and sank - the Camp Pendleton public affairs office said. Rice was an instructor in the training exercise, Camp Pendleton spokesman Lt. Justin Smith said. Three students and two other instructors escaped from the vessel, he said. Rice served two tours of duty in Iraq and was awarded a Combat Action Ribbon "for having received hostile fire," among other honors, Smith said. Investigators were still working to determine a cause of death and what caused Friday's accident, Smith said. Camp Pendleton is along the Pacific Coast between Los Angeles and San Diego. Researchers have identified a small but vicious dinosaur that lived 230 million years ago, just as dinosaurs were beginning to emerge. This creature named Eodromaeus, was about 4 feet long and weighed 10 to 14 pounds, according to a study published in the journal Science. “It was very cute; you’d want it as a pet,” said Paul Sereno, a paleontologist at the University of Chicago and one of the study’s authors. “But it might be best as a guard dinosaur, to keep the dogs away.” That’s because the little dinosaur was also a fleet-footed meat eater, with an agile body and long canines that were ideal for digging into prey. Based on its structure, it is believed that it was an early ancestor of other theropod dinosaurs, a group that includes Tyrannosaurus rex. Eodromaeus also resembles a dinosaur called Eoraptor in size and structure, but Eoraptor was most likely an early ancestor of sauropods, which included primarily long-necked herbivores. But both species were small, ran on two legs and lived around the same time, leading the researchers to deem that the common ancestor of all dinosaurs was also just about four feet in length. 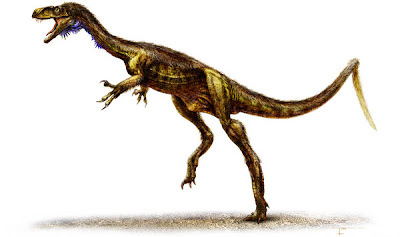 Eodromaeus and Eoraptor were both discovered in the Ischigualasto Formation of northeastern Argentina, where Dr. Sereno has been involved in fossil excavations for 30 years and where some of the oldest known dinosaur remains have been found. Wikipedia, the free online encyclopedia, is about to turn 10 this week. The website was founded by Jimmy Wales on Jan. 15, 2001, after he became unsuccessful at launching a traditional online encyclopedia called "Newpedia". "Wikipedia turned out to be more successful than anybody ever imagined or ever even aspired for it to be," Wikipedia's chief executive Sue Gardner told the AFP“. It took on a life of its own and became this hugely popular thing. Ten years later, the site states it has 440 million unique visitors each month. The popular reference site is available in more than 250 languages and features around 26 million entries. On top of that, it's edited by roughly 100,000 individuals from around the globe. Now that Wikipedia is a household name in the world, Wales is aiming to find a foothold for Wikipedia in developing countries. Specifically, he's opening an office in India, which will be the site's first branch outside of the U.S.
"Our goal is to reach people all around the world with Wikipedia and to make it possible for them to access the encyclopedia," Gardner said. "We all know that people are coming online in massive numbers, particularly through movie phones, and so we have a new strategic effort to focus our energies on these developing countries so, as those people come online, Wikipedia is there for them to use." In what you might call a testament to the non-profit's popularity, Wikipedia recently raised $16 million in its shortest fundraiser ever. More than 500,000 donations came in from 140 different countries, with an average donation of $22. That's more than double the 230,000 donations made in 2009. Wikipedia will use the money to fund various infrastructure costs, staffing, program support, grants, and other costs. Police on the Indian Ocean island of Mauritius said Tuesday they were dealing with the death of a Gaelic football star's wife during their honeymoon as murder. Michaela Harte, a 27-year-old teacher, was found dead in her luxury hotel room on Monday by her husband, John McAreavey. A post-mortem revealed the former beauty queen had been strangled. Mauritius Police Force Superintendent Yoosoof Soopun said Tuesday that officers had identified six potential suspects. He said police believe robbery might have been a motive and were questioning hotel staff. Soopun said McAreavey was in the restaurant of the hotel when his wife was killed and is not a suspect. "She had gone back to the room to get some biscuits to put in her tea, and when she failed to return, her husband went to look for her," Soopun said. "When he found her in the room, she had been killed. He tried to help her, but she was already dead." He said the killer used an electronic key card to enter the room. "This is being viewed with much concern by the police and the government of Mauritius," Soopun said. "We are doing everything we can to find whoever was responsible. The inquiry is progressing, and we are confident it will reach a successful conclusion." 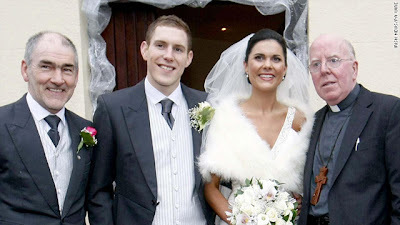 Harte was the daughter of one of the best-known figures in Irish sports, Tyrone Gaelic football manager Mickey Harte. Michaela Harte taught Irish at St Patrick's Girls Academy in Dungannon, County Tyrone, in Northern Ireland. She won the Ulster Rose of Tralee contest and was a former Rose of Tralee contestant. LIONEL Messi's mesmerizing performances for Barcelona overshadowed a disappointing World Cup, guaranteeing the Argentina forward was named the world's best player of 2010. Messi won the Fifa award for a second straight year, finishing ahead of Barcelona teammates Andres Iniesta and Xavi Hernandez. 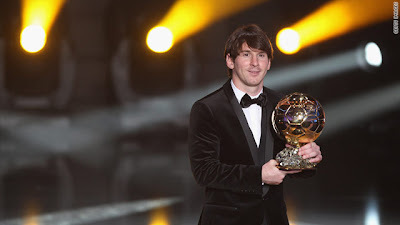 'It's a very special day for me,' Messi said through a translator on receiving the award at a gala ceremony in Fifa's home city. The 23-year-old Messi scored 58 goals last year for an exciting Barcelona team which retained the Spanish league title and leads the standings this season. However, he failed to score in South Africa as Argentina exited in the quarterfinals. Iniesta and Xavi, by comparison, starred for eventual winner Spain. Messi obtained 22.65% of the votes cast by coaches and captains of national teams plus invited journalists. The original shortlist featured 23 players. Andres Iniesta finished second with 17.36% and Xavi received 16.48% to finish third for the second straight year. All three candidates honed their craft at Barcelona's celebrated La Masia youth academy. Barcelona has now provided eight winners in the 20-year history of the Fifa honor. Messi follows former Brazil internationals Romario (1994), Ronaldo (1996 and '97), Rivaldo (1999) and Ronaldinho (2004 and '05). On Monday, an historic agreement was signed by Britain with China to bring two giant pandas to Edinburgh Zoo. Tian Tian and Yangguang, a breeding pair born in 2003, will be the first to live in the UK for 17 years. 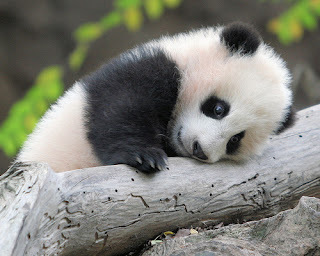 "This ... represents the beginning of a program of research, education and partnership and the project has huge benefit for the UK and Scotland, both in supporting giant panda conservation and in enhancing our programs in education, science and conservation," said David Windmill, chief executive officer of the zoo based in Edinburgh, Scotland's capital. The agreement was witnessed by Deputy Prime Minister Nick Clegg and China's Vice-Premier, Li Keqiang, who is in the UK on a four-day visit. The rest of Li's trip is not likely to be so cuddly -- as the thorny issue of China's human rights record is expected to come up. David Beckham and wife Victoria are expecting their fourth child later this year, the former England captain posted Sunday on his Facebook account. "I've got some great news to tell you all," Beckham wrote. "Victoria and I are expecting our fourth child this summer. The boys are very excited about the arrival of a new brother or sister." The couple got married in 1999 and has three sons together: Brooklyn, 11, Romeo, 8 and Cruz, 5. 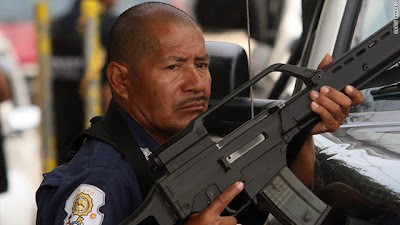 The headless bodies of 15 people were found discarded near a shopping center in the tourist city of Acapulco, Mexico, the Guerrero State Public Security office said in a statement Saturday. The victims are all men between the ages of 25 and 30 years old. The security office said, Police were led to the bodies by a couple of burning vehicles. A 16th body was found in a nearby car. The victim was a 30-year-old man who was shot to death, the office said. The bodies were not found in an area frequented by tourists, said a spokeswoman for the security office. "It's a shopping center where locals go regularly, but it's not that far away from the tourist areas," she said. "They were found on a popular highway used to get to the tourist area." The killings are alleged to be drug related, she said. According to authorities, more than 28,000 people have died in Mexico in drug-related violence since 2006. Police and military forces have stepped up operations in the region in light of the grisly discoveries. 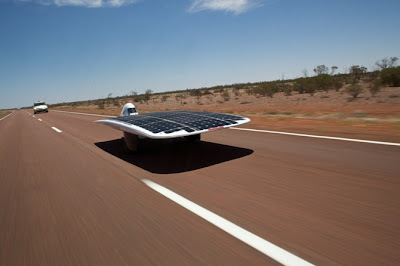 An Australian car is officially the world's fastest solar-powered vehicle, breaking the previous record of 79km/h. The solar racer Sunswift IVy (known as Ivy) was designed and built at the University of NSW. "We've beaten the record by 10kms (per hour) - it reached a speed of 88kms - and we think we can get it over 90kms," a UNSW spokesman told AAP on Friday. Power-driven by silicon solar cells trapping energy from the sun, the IVy broke the official Guinness World Record in a time trial on Friday. In a race in 2009 from Darwin to Adelaide, IVy hit a top speed of 103km/h and on Friday morning it unofficially broke the record several times in trial runs. The official speed trial took place at the HMAS Albatross naval base at Nowra on the NSW south coast, with professional drivers Barton Mawer and Craig Davis at IVy's controls. Vehicles challenging to break the speed record in the category are needed to be powered only by solar cells. IVy normally uses its cells to charge a 25kg battery, but this was detached for the record attempt. At speed, the car produces about 1,200 watts, roughly the same power as a household toaster. Australia's flood-stricken coal industry may encounter months of disruptions as reports emerge of key rail and road links being washed away, while some infrastructure may take years to repair, authorities said on Friday. About 200,000 people have been affected by the flooding and three people killed. Damage from the floods, the worst in the state in 50 years, has been anticipated at $5 billion. Floodwaters were receding on Friday in some areas but fresh flooding was forecast downstream as a result of more monsoon rains. The muddy inland sea has stranded some of Australia's best beef cattle on tiny islands, destroyed wheat and sugar crops, and swept deadly snakes into homes. Australia's $50 billion coal export industry has been brought to a virtual standstill. 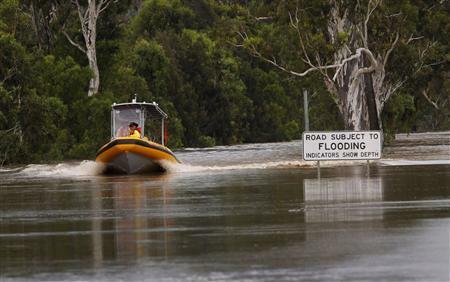 The floods have swamped mines in Queensland State, affecting operations that produce 35% of Australia's estimated 259 million tons of exportable coal. Australia contributes two-thirds of global coking-coal exports, needed to make steel. One obstacle facing flooded mines from resuming operations is they are only permitted to pump some water out of pits and into the still flooded rivers. Robert Pattinson to star in "Cosmopolis"
Twilight heartthrob Robert Pattinson has signed to star in "Cosmopolis", David Cronenberg's adaptation of the Don DeLillo novel. The actor will be stepping into shoes that were to be worn by Colin Farrell. Paul Giamatti and Marion Cotillard are already on board the film, which is eying a mid-May start in Toronto. The project centres on a 28-year-old financial wizard and billionaire, to be played by Pattinson, as he traverses Manhattan in his stretch limo. His goal is to get a haircut at Anthony's, his father's barber, but on this day his driver has to navigate a presidential visit, an attack by anarchists and a rapper's funeral. Stuck in traffic, he anxiously monitors the value of the yen on the limo's computer, his fortune in the balance. 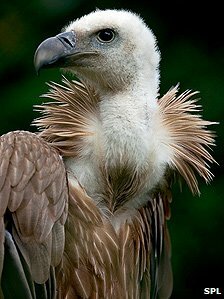 A vulture tagged by Israeli scientists was "detained" on suspicion of being a Mossad spy after the bird strayed into Saudi Arabian territory, a media report said Wednesday. The bird was found in a rural area wearing a transmitter and a leg bracelet bearing the words 'Tel Aviv University', the Daily Mail reported citing Israeli and Saudi media reports. Although these tags indicate that the bird was part of a long-term research project into migration patterns, residents and local reporters told Saudi Arabia's Al-Weeam newspaper that the matter seemed to be a "Zionist plot". The accusations went viral, with hundreds of posts on Arabic-language websites and forums claiming that the "Zionists" had skilled these birds for espionage. The Sinai regional governor last month suggested that a shark that killed and maimed tourists on its Red Sea port may have been released by Israeli agents to disrupt Egypt's tourist industry. The new government of the Central Asian nation of Kyrgyzstan has planned to name a mountain after Russian Prime Minister Vladimir Putin. The peak, which is 4,446m (14,586ft) tall, is in Chuy region in the north. The move must be approved by parliament. But Mr Putin would not be the first Russian leader to have his own Kyrgyz Mountain. Late President Boris Yeltsin had a 3,500m peak near Lake Issyk-kul named after him in 2002. The founder of the Soviet Union, Vladimir Lenin, has the tallest one - a 7,134m-high peak on the Kyrgyz-Tajik border. Kyrgyzstan has also named a mountain after Santa Claus, in a bid to boost tourism. According to Kyrgyz media reports, Prime Minister Almazbek Atambayev signed the draft law to name Vladimir Putin Peak late last year. Parliament is expected to pass it in the near future. Lindsay Lohan has made out of rehab once more, and has yet another chance at turning her life around. On Monday, the actress was discharged from the Betty Ford Center, a source confirms. It's been more than 3 months since Lohan was ordered back to treatment by a judge after failing a drug test. The troubled star, 24, Tweeted on Saturday that she's going to take things "one step at a time," and quoted Gandhi as a source of inspiration. Lohan's life after rehab may not be entirely drama-free, however: Moving trucks at her West Hollywood apartment were seen unloading boxes at a new 4-bedroom house in Venice, Calif., directly across the street from where her ex Samantha Ronson's lives. For now, Lohan will be subject to random drug and alcohol testing and sessions with her psychiatrist until a Feb. 24 court hearing. On Monday, Sony unveiled that mobile phone game sensation 'Angry Birds' is heading for the Japanese entertainment giant's PlayStation 3 consoles and PSP handheld videogame devices. 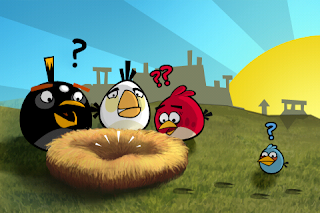 The addictive puzzle game in which players catapult birds to break through structures, protecting egg-stealing green pigs has rocketed to fame since being released by Finland-based Rovio Mobile in late 2009. "Angry Birds" will include 63 levels, Sony said in a PlayStation blog message listing games set for release in the coming week. Sony did not mention the price it would charge for "Angry Birds". Angry Birds is available for $0.99 on the iPhone, $4.99 for an HD iPad version, and free on the Android platform. The Discovery Channel has second thoughts regarding some of their programming. 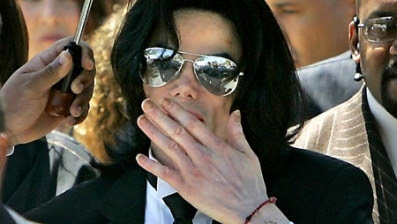 The handlers of the late pop star's estate complained that the show, to be entitled as "Jackson's Autopsy: What Really Killed Michael Jackson", would be offensive and requested for it to be cancelled. A letter was sent to the program's executives by John Branca and John McClain stating that the program's concept was in "shockingly bad taste." They also accused the network of trying to exploit the singer's death. On January 1, the Discovery Channel decided to "indefinitely postpone" the January 13-scheduled show that was to be aired in Europe and in the UK. Discovery Networks International cited the letter and complaints from Jackson's estate in its decision to pull the plug on its TV show. Branca and McClain have said that they are extremely pleased with the network's decision. Michael Jackson passed away on June 25, 2009 of an overdose. His doctor, who prescribed the medications that led to the 50-year-old singer's death, is currently under investigation despite pleading not guilty. Conrad Murray, Jackson's doctor, is scheduled for a preliminary hearing on January 4 in Los Angeles in order to decide whether or not there is enough evidence to proceed to trial. test Thanks to recent advancement in building technology, insulation contractors can use spray foam insulation to create an air tight seal that protects your home from the outside elements.